was used to punch holes representing characters. Each card represented a single line of code. Large printers were used to print the resulting output on continuous feeds of paper. 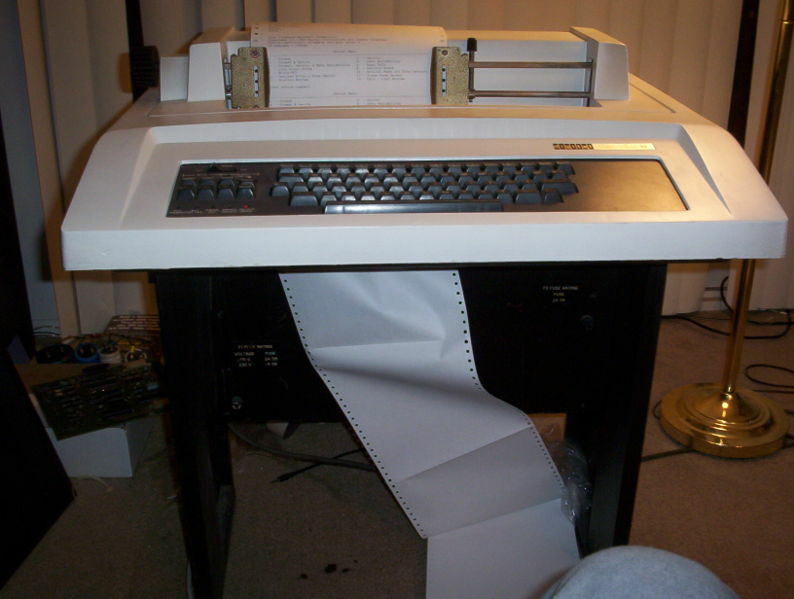 More capable card punches allowed copying of cards, and included a mechanism to replace/insert/delete characters - this is now known as "line editing" and could be argued to be the start of modern programming. from the mid-1970s. 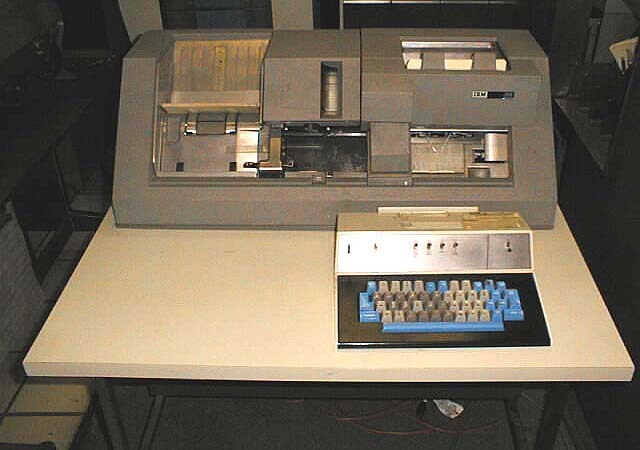 Now it was possible to have a "conversation" with the computer where all commands and their output were printed on paper. 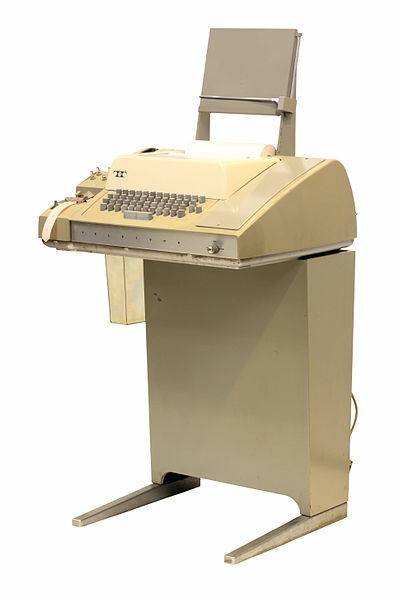 Not surprisingly, the line editing functions available on card punches were implemented as interactive programs for use on these systems and became known as line editors. That is, you worked on the text in a file one line at a time. DOS 'edlin' is in this tradition, as is UNIX 'ed' (see "Actually using ed"). implemented line editors with similar functionality (this is the kind of machine I learned to program on). At this stage all user I/O was stilly pretty much just text, and, by today's standards, these systems were hard to use - really! 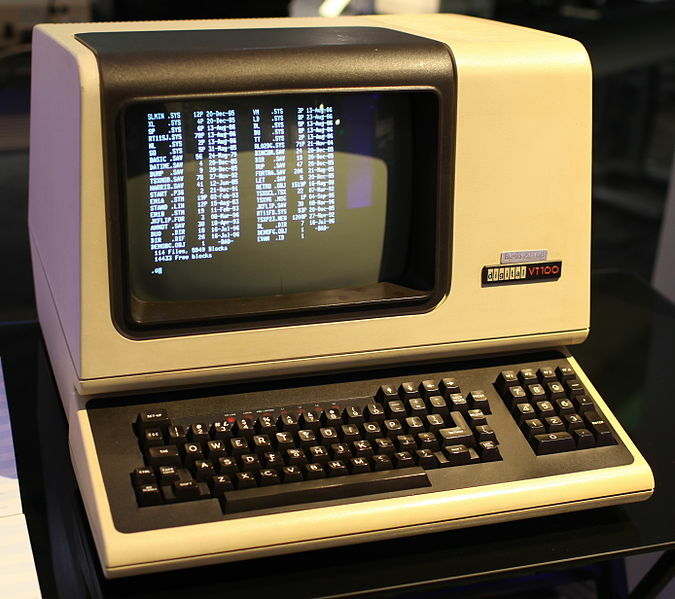 However, video terminals had the ability to redraw the screen and reposition the cursor relatively quickly. It didn't take long for this to be used to greatly enhance editing capabilities: instead of working on a line at a time, it became possible to see a screen at a time, and have the screen automatically update and reposition. Such full screen editors were usually extensions of existing line editors. Indeed, both Vi and Emacs were originally built on line editors. In fact, when you type : in Vi, you temporarily communicate with the underlying line editor. you don't have a whole lot of extra keys (function or otherwise) to do this, and certainly no mouse. How do you use this limited "palette" to perform both editing and motion? Depending on how you answer this question, you get completely different kinds of editors. Bill Joy, who implemented the original Vi, decided that there would be two modes: insert mode and command mode. In insert mode, (most) keystrokes were simply inserted in the buffer being edited; in command mode, keystrokes performed editor functions, like moving the cursor; the escape key exited insert mode, while various keys, such as i and a entered insert mode. Richard Stallman, who did the initial work implementing what is now known as Emacs, went a different direction: each key could be bound to a function. Regular keys, like a and 5 were bound to the self-insert function. Control keys were bound to functions that did things like move the cursor around. Some keys entered a menu-like system. The idea was that common actions were on single keys, and less frequent ones were on longer sequences. WIMP ("Windows Icons Mouse Pointer") interfaces became popular starting in the late 80s, early 90s and made computers much easier to use. It allowed "mere mortals" to make use of what computers could do. This was further enhanced by the introduction of web browsers and the World Wide Web. Just "point and click" and you are on your way. At the same time, a version of Emacs, called GNU Emacs was released and whose use snowballed. It became the defacto implementation and a lot of talented people added packages to it. 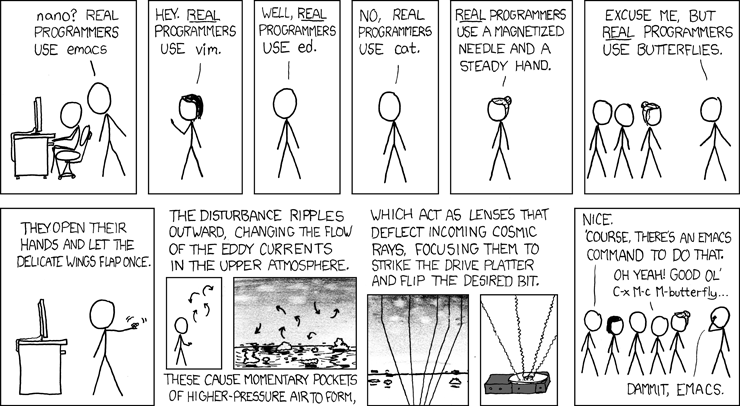 To start using GNU Emacs today, you have to deal with both of these: it is harder to use than straight "point and click" and is huge because it has been accreting functionality for 30 years. Gosling has an interesting place in computing history - he wrote the first version of Emacs for UNIX (the one I learned on, as it happens), and also was one of the main developers of the Java language. In 2008 he was still working for Sun Microsystems, since purchased by Oracle, and had a vested interest in promoting Java. And he is absolutely right if you are only ever going to be programming in Java. While it is possible to work with Java code in Emacs, various Integrated Development Environments (IDEs) are much better suited to doing so.